Head to the mountains for spring half term. View our chalets with availablity for stays beginning around 25th and 1st Jun 2019. Kids summer holidays 2019. View our chalets with availablity for stays beginning between the 27th Jul and 31st Aug 2019. 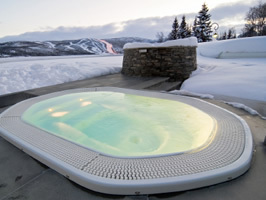 Like the thought of relaxing in a hot tub after a day in the mountains? View our chalets with hot tubs. If you want to stay central, browse our chalets that are reasonably close to the resort centre. Enjoy relaxing in a heated pool. View our apartments with swimming pools within the complex. We have a large choice of self catered chalets for those who prefer the flexibility of self catering. The discerning traveller will find our collection of luxury chalets well located and luxuriously furnished. Special offers from the chalets are coming in all the time. 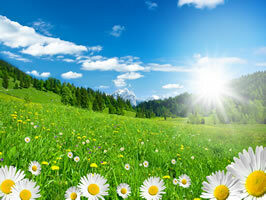 Click below to view a list of our latest summer season deals. Conveniently located near to the centre of the resort of Wengen. Silberhorn has 2 bedrooms and can accommodate upto 4 people on a Self catering basis. This apartment also features a Fireplace, TV and Wifi. This 2 bedroom apartment is located in the resort of Wildschonau. Available on a Room only basis, Kainzner can sleep upto 6 people. Located in the resort of Nendaz. Chalet Arvine has 4 bedrooms and can accommodate upto 8 people on a Self catering basis. 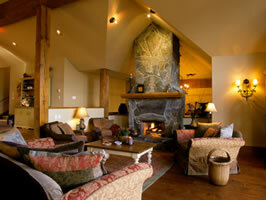 This chalet also features a Fireplace, TV and Wifi. Offering holiday accommodation in Wildschonau on a Room only basis, Jenewein is a 2 bedroom apartment that can comfortably accommodate 6 people. Chalet Les Noisettes is located in the resort of Le Grand Bornand. This chalet has 4 bedrooms and can accommodate upto 8 people on a Self catering basis. The property also features a TV and Wifi. This 2 bedroom chalet is located in the resort of Kuusamo (Ruka). Available on a Room only basis, Uolevintie 39a can sleep upto 6 people. Chesa La Soliva is a 1 bedroom apartment that can comfortably accommodate 4 people. 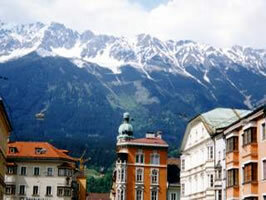 Conveniently located near to the centre of the resort of St Moritz it is available on a Self catering basis. The property also features a TV and Wifi. Located in the resort of Kuusamo (Ruka). Kitkajoen lomatuvat lohi has 1 bedroom and can accommodate upto 6 people on a Room only basis. A 5-bedroom summer alpine chalet which can sleep 10, situated in the alpine resort of Megeve in France. Chalet Les Clochettes has a Sauna, TV and Wifi, and is available for holiday rent on various board options including Catered, Half board and Room only. Haus Alpenblick offers comfortable holiday rental accommodation in Solden on a Room only basis. Haus Alpenblick is a 4 bedroom apartment that can comfortably accommodate 8 people. 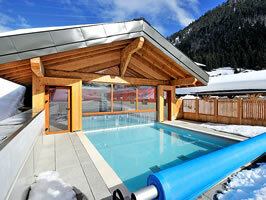 Conveniently located near to both the piste and centre of the resort of Mayrhofen. Brigitte has 3 bedrooms and can accommodate upto 6 people on a Room only basis. Chalet Schiestl is located in the resort of Mayrhofen. This apartment has 4 bedrooms and can accommodate upto 10 people on a Room only basis. The property also features a Sauna and Wifi. View availablity for stays beginning around 25th and 1st Jun 2019. View availablity for stays beginning between the 27th Jul and 31st Aug 2019. Like the thought of finishing the day relaxing in a hot tub. Chalets that are reasonably close to the resort centre. Enjoy relaxing in a heated pool. 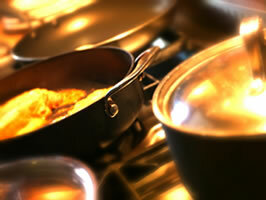 For those who prefer the flexibility of self catering. Our luxury chalets are well located and luxuriously furnished. View a list of our latest summer season deals.